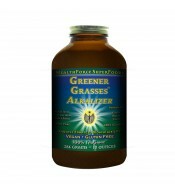 Greener Grasses™ is an incredible combination of green grasses. It provides healthy alkaline elements and a large amount of 100% whole food nutrients. 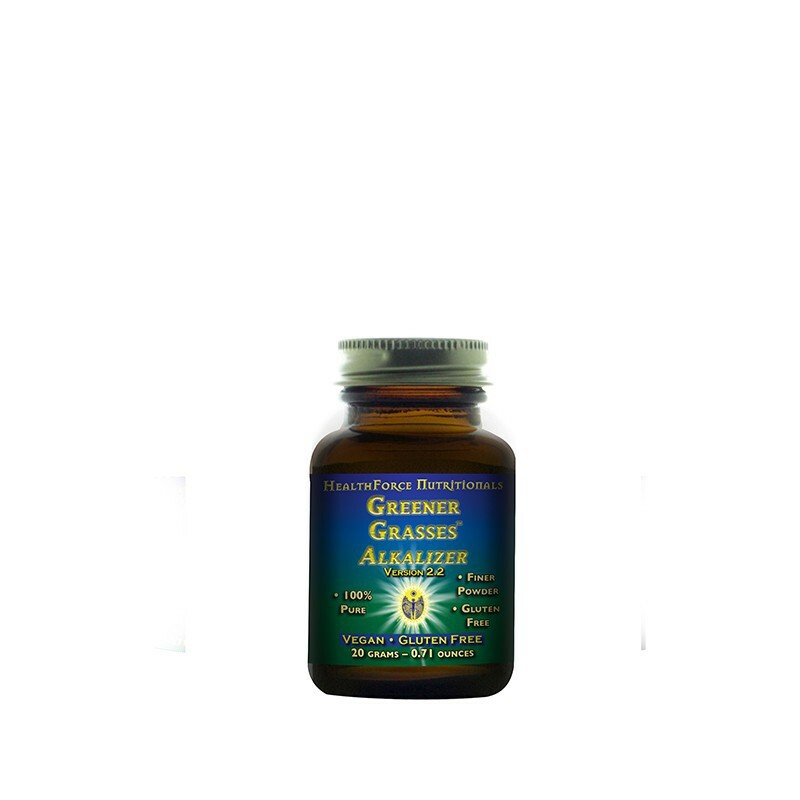 It contains 5 different grasses. These grasses are grown under ideal conditions and therefore contain extremely high nutrient levels. Low temperature dried (under 100° F) to preserve lifeforce, enzymes and other heat sensitive elements. All of the ingredients in Greener Grasses are grown in highly mineralized, organic soils for months, rather than in trays for days. 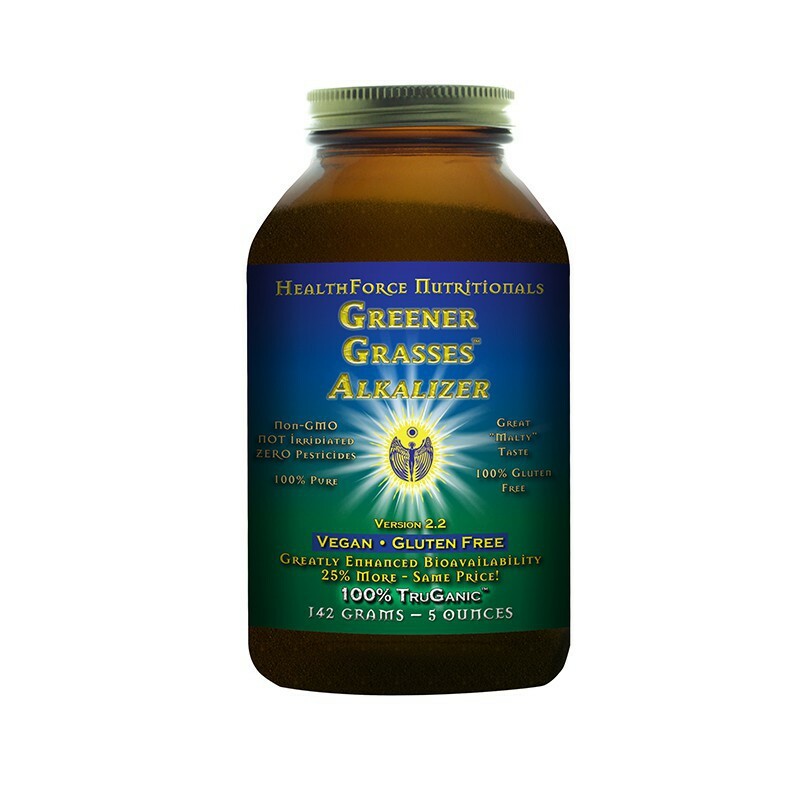 Greener Grasses™ actually tastes good! It is not "too sweet" like fresh grass juice due to harvesting the mature, rather than immature, grasses. It actually has a pleasant "Malty" flavor that really adds nice flavor to carrot-based juices and even citrus juices. 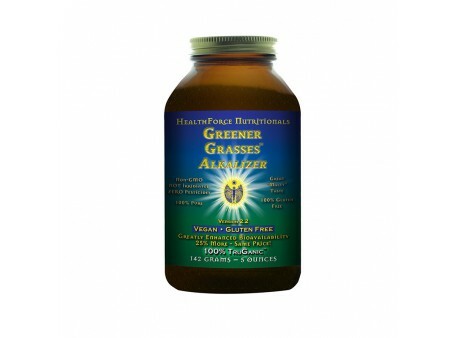 Ingredients: Whole Leaf Wheat Grass, Whole Leaf Barley Grass, Alfalfa Leaf Juice, Barley Grass Juice, Oat Grass Juice. Suggested Adjuncts: A Whole Food, Organic, Vegan, Plant Based Diet with emphasis on fresh, high water content, live/raw foods and juices plus a healthy lifestyle of exercise, fresh air, and anything healthful and sacred to you. TruGanic™ is a purist, hard-core quality standard significantly beyond Organic. In addition to no pesticides being used anywhere in the growing process, TruGanic™ includes authentic standards for production, non-toxic cleaning agents and pest control, electromagnetic radiation, processing agents, additives, air quality, and actual verification of purity. After a long and heavy winter when we were eating greasy and stodgy meals to warm ourselves up, here comes the spring – the time of new beginnings. The spring time relates to liver and gallbladder cleansing, especially if we didn´t avoid alcohol and parties during the winter. Let´s regenerate these organs and prepare them for the more active part of the year. Jarní detox aneb pojďme společně zmapovat náš obličej!